OPTrust was established to give plan members and the Government of Ontario an equal voice in the administration of the OPSEU Pension Plan and the management of the assets through joint trusteeship. OPTrust is governed by a 10-member Board of Trustees, five of whom are appointed by OPSEU and five by the Government of Ontario. OPTrust is subject to federal and Ontario laws and regulations governing registered pension plans. As the plan administrator, our role is to prudently manage the Plan’s assets, ensure that members and retirees receive the pension benefits to which they are entitled, and provide them with the finest service and communications. The OPSEU Pension Trust officially began operating on January 1, 1995. The Board of Trustees of the OPSEU Pension Plan Trust Fund administers the OPSEU Pension Plan and is responsible for investing the Plan's assets to support the cost of members' and retirees' pension benefits. The OPSEU Pension Plan was created to provide members and pensioners with a say in their pension plan through joint trusteeship. The Plan is jointly sponsored by the Government of Ontario and the Ontario Public Service Employees Union (OPSEU). 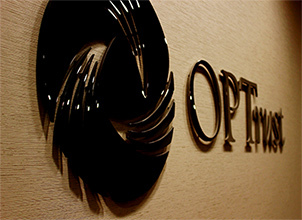 OPTrust is a legal trust that was formed by an agreement between the sponsors and exists at arm's length from both OPSEU and the Government. Read our funded status report for a detailed review of OPTrust’s strategy and results in 2018.